Business owners know that finding the right firm to perform a 409A valuation can be challenging, and an impetuous decision can often lead to a poor experience and questionable valuation results. It takes time and careful consideration to find the team of professionals who will best suit your company’s needs—professionals who will dedicate their attention to you and your company while achieving accurate results. So, how do you find this team that best fits your needs? Here are five things to consider when preparing to get a 409A valuation. Search for a firm with valuation experts who clearly demonstrate experience, integrity, and expertise. Look beyond the basics of price and service to closely consider the team of professionals you will be working with. 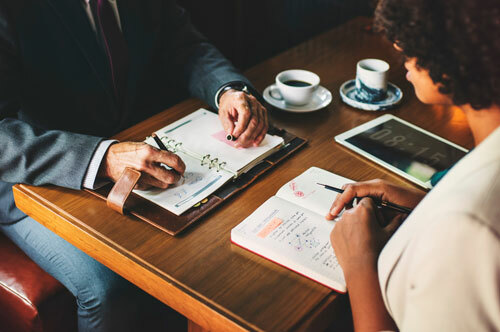 A valuation opinion should be updated at least every 12 months, so it’s important to make a solid connection with a firm who has skilled professionals who work well with you, and most importantly, who you trust to perform your valuations year after year. While valuations are done for multiple purposes, 409A valuations have a single purpose: to issue deferred compensation. With such a specific process that is performed each year, it’s important to search for valuation professionals who specialize in performing valuations rather than settling for a financial firm that happens to also do 409A valuations. You can also check the credentials of the team to see what qualifications they hold. Certifications like Accredited Senior Appraiser (ASA) and Certified Valuation Analyst (CVA) are often good indicators of a superior level of expertise. Professionals who have experience doing hundreds to thousands of valuations every year have access to databases and resources that contain relevant industry and economic data that help them do proper research and reach accurate conclusions. In addition to noting the number of valuations they regularly perform, search for experts who have experience working with clients from various companies and industries. Look for professionals who have performed valuations in several different industries to know they understand the different methodologies available and which approaches will result in the most accurate 409A valuation for your company. The valuation process requires collaboration between the client and the valuation specialists. Choose a team who will work with you in every step of the process to clarify the work being performed and to address any questions or concerns you may have. The opportunity to work closely with a valuation team allows you to build trust and lends to a better overall experience, especially when you have open communication. Valuation is an ongoing process, and a good relationship with your valuation team makes the process more efficient, pleasant, and effective. Valuation firms vary in the price they charge for their services, and although choosing the most affordable firm may be tempting, it doesn’t guarantee you will receive a credible valuation. The fees charged reflect the scope of the valuation, the quality of work, and the level of experience of the specialists. If an exceptionally low price point seems too good to be true, it just might be. Inexperienced or non-specialized teams are able to charge lower rates, but often at the cost of having a hurried, underwhelming experience and possibly inaccurate results. Before rejecting a valuation proposal purely based on sticker shock, consider the additional value a slightly higher price-point can give you: specialization, experience, client engagement, and definitive accuracy. Wherever your price point lands, basing your selection on the reputation, specialization, and the overall experience a firm can give you will lend to a more satisfactory experience and meticulous results. Scalar is a dedicated valuation firm that performs thousands of valuations every year. We only hire top talent and our valuation team’s credentials include: CPA, ASA, ABV, CEIV, CFE, MAFF, and CVA. Our experts work in teams with a multi-tiered internal review process to ensure the most thorough and accurate reports. We have worked with companies from every industry and our clients range from startups to public companies. Scalar’s clients have had the opportunity to work closely with our team of professionals who are specialized, experienced, and engaged in every step of the process. If you are in need of valuation services, you can request a complimentary consultation or call 385.831.1010.